A ruby necklace is one of the most highly preferred ornaments and is best suited for almost every occasion. However, one needs to take the necessary steps to ensure that the necklace remains in shape for years to come. Considered as one of the most precious gemstones across cultures, rubies today form an essential component of designer jewellery. Right from a ring to a bracelet, the pretty-looking bloody-red stone forms a part of almost every type of jewellery one can image. Presently, ruby necklaces are widely popular, as they look stunning and are easy to maintain. However, one needs to take the right amount of care to maintain their appearance and quality. Listed below are a few tips that can keep your ruby necklace in a good shape. Household activities demand physical movements. A sudden impact caused during the movement may loosen the positioning of the ruby on the necklace, a result of which the precious stone may fall off. This may also be the case when performing outdoor activities like gardening or playing a sport. So, it is recommended that you avoid wearing the necklace while you are in the kitchen. The accumulation of foreign matter on the surface of the ruby can cause it to appear faded or cloudy. Several lotions are available that are specifically meant to clean rubies. Apply the lotion over the necklace, including the ruby, and gently scrub it using a soft toothbrush. Once done, rinse it with clean water and dry it with a lint-free cloth. For better results, you may also want to try out the portable ultra-sonic cleaning device that produces high-frequency sound waves to eliminate the dirt particles from the surface of the necklace. Note that these cleaners are not meant for gems with a softer surface. Your necklace may have unintentionally faced several hard knocks while being handled. Chances are the impact may cause the stone to slightly shift from its original position. 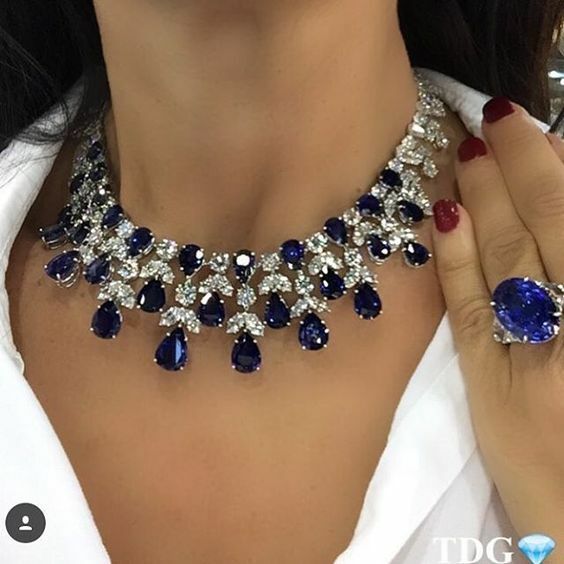 So, it would be wise to periodically walk up to a preferred jewellery store and get the necklace thoroughly checked, ensuring that the stone is perfectly placed on its original mounting. At times, an online tutorial may temp you to carry out the inspection process on your own. Note that jewellery-repair is a delicate task and can be efficiently carried out only by an expert. So, a DIY process may probably lead to an irreparable damage. Do not store your necklace in a container with other jewellery. Instead, place it in a soft pouch or a jewellery box big enough to contain the entire necklace. Although ruby is considered as one of the toughest gemstones, it is advisable that you handle it with utmost care. Also, it is worth noting that the quality of gemstone you buy depends on the jeweller that you have purchased it from. In case you intend to buy ruby jewellery that rightly fits your budget, making a purchase online turns out to be a good option. Apart from being able to find the right deal, you also get a good number of options to choose from. Above all, most of the online stores also let you opt for a customized ruby jewellery set based on your personal requirement.